Welcome home to a PICTURE PERFECT American Colonial MODERN farmhouse, right out of a Better Homes and Garden magazine!!! This TWO story, 5 bedroom home, just shy of 2500 sq. ft. is on a spacious corner lot on a low-traffic street and is tucked back into a neighborhood that has no through streets. This classic architecture is what truly makes this home one you will be proud to show off to your friends and family. This home has been completely transformed starting with the kitchen featuring white cabinets, granite countertops and stainless appliances. Roof and windows are brand NEW along with the laminate wood flooring. The entire home has just been painted w/ tasteful modern colors. You are just in time for summer with this amazing pool w/ birdcage and brand new pool pump and pavers. You will also enjoy the privacy for those night swims with a brand new white privacy PVC fence surrounding the entire lot. Other great features include the separate dog run in backyard, gas water heater, gorgeous wood pillars in front that give off that aesthetically pleasing farmhouse look, formal living room & dining room, separate family room and updated wood stairs to complete the look. Walk to Our Savior Church, Walking distance to A+ rated elementary & fundamental high school, less than 2 miles to Beach & Dtwn. 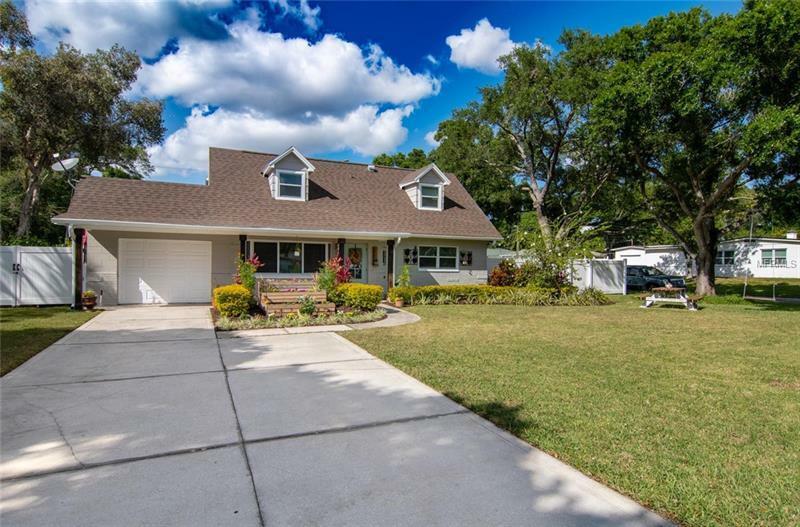 St. Pete, Great place for the avid biker/runner w/ easy access to the Pinellas Trail, Minutes to quaint Gulfport waterfront district & art village w/shops & restaurants. Located in a NON-flood zone.